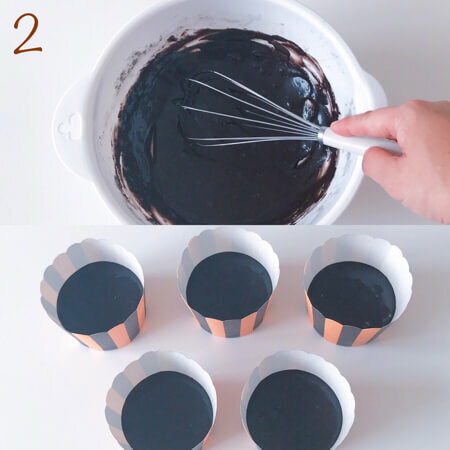 2: Mix Seria’s black cupcake as noted in the recipe and fill the cupcake cup (about 70% to 80%) and bake it. 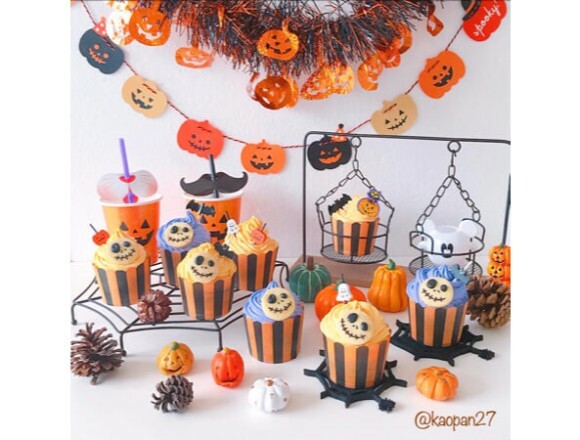 Heat the pumpkin using a microwave and take away the seeds. 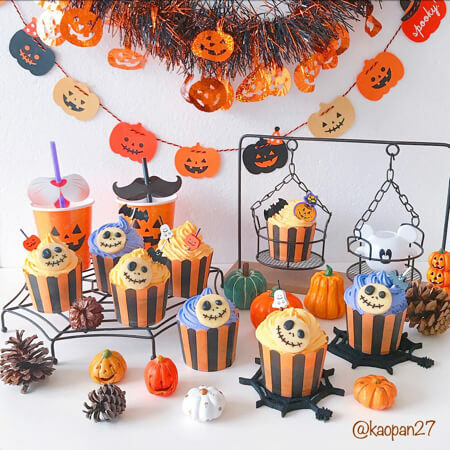 Measure the pumpkin (70g) and strain it if you have time. 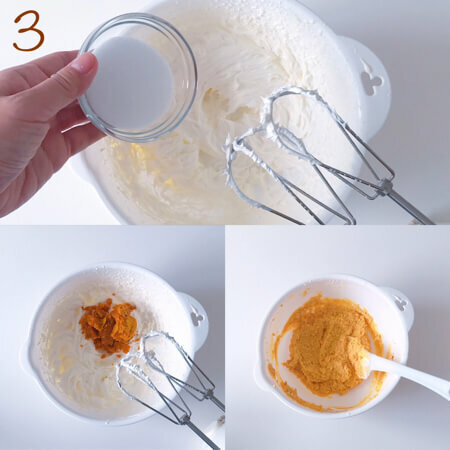 Whip the cream and mix in the granulated sugar. 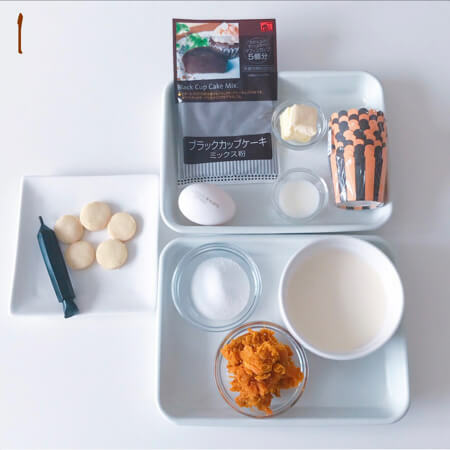 After mixing the granulated sugar well, pour in the pumpkin (make sure that the pumpkin is not hot) and mix it in well. ☆The cream is colored with purple potato powder since I couldn’t find a purple potato. 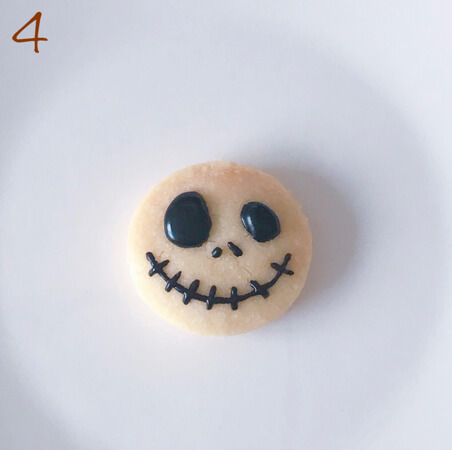 4: Making a Jack-o’- Lantern using a cookie. After dissolving the chocolate pen using hot water, draw the eyes first and then the nose and mouth (use the tip of a toothpick) of the character. 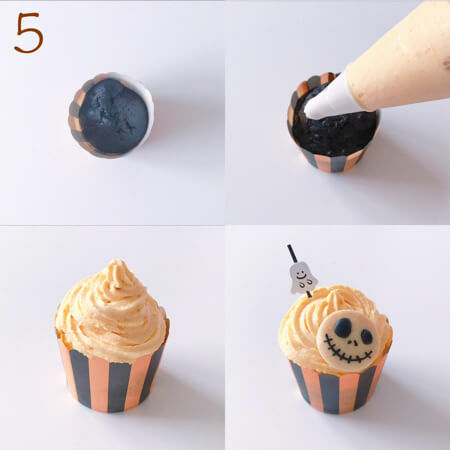 5：Squeeze the pumpkin cream into the cup cake (make sure to cool down the cupcake). Voila! It is now complete.